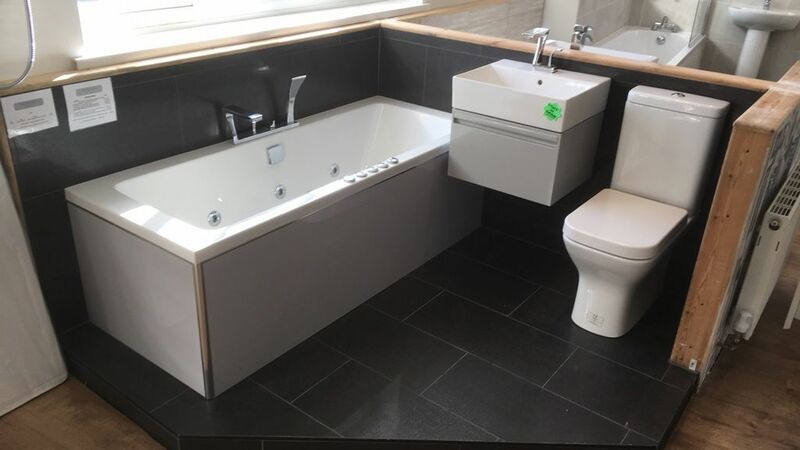 Whether you are looking for a modern suite or a more traditional style, you will find the perfect bathroom suite at our showroom. 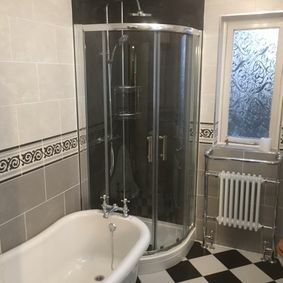 If you enjoy the speed and convenience of having a shower, we are sure to have the right system for you and your property. 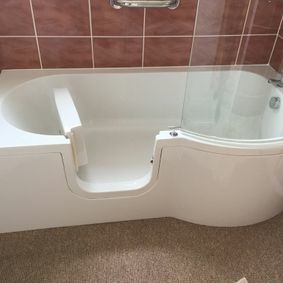 The various wet rooms available at Clive Allen & Sons Bathrooms offer the perfect solution for those with limited mobility. 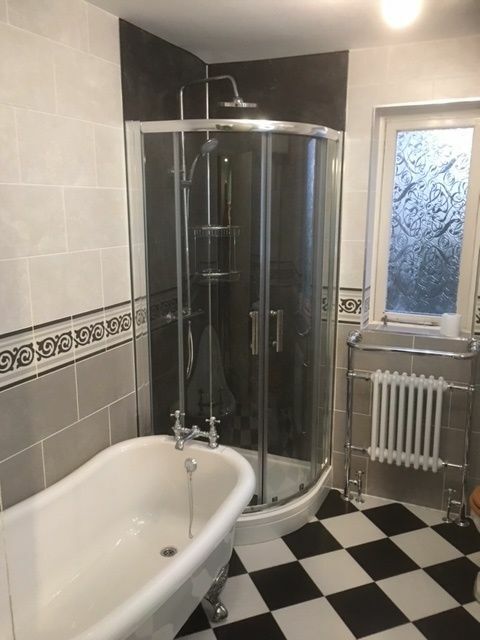 With the installation of a toilet and sink, or a shower, you can convert your unused cloakroom into an additional bathroom. 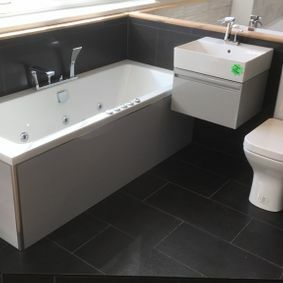 Contact the team at our bathroom showroom now, in Derby, to discover more about our range of bathroom suites. 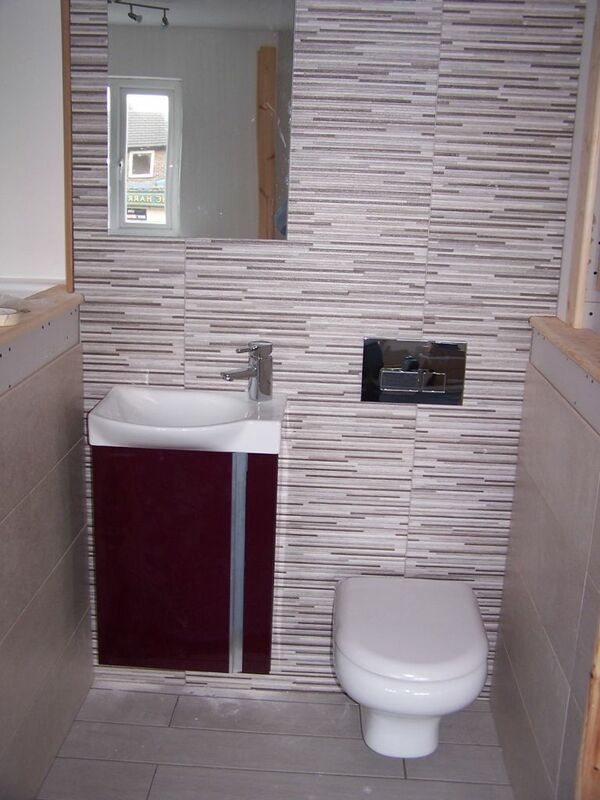 Adorn your home with a brand-new bathroom without any hassle or fuss by working with our team. Established in 1985, Clive Allen & Sons Bathrooms specialises in designing, supplying, and fitting bathrooms at properties in and around Derby. 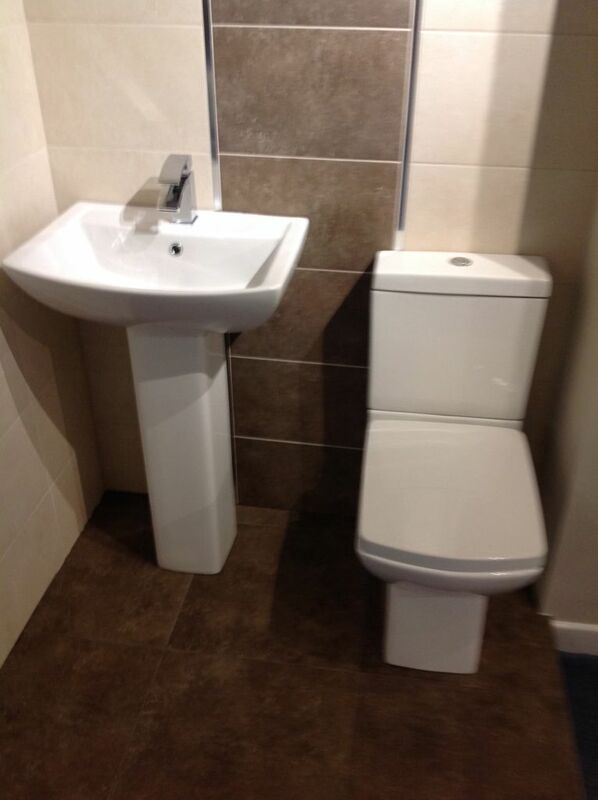 We are a small, family-run business that runs a bathroom showroom supplying to both the trade and public. 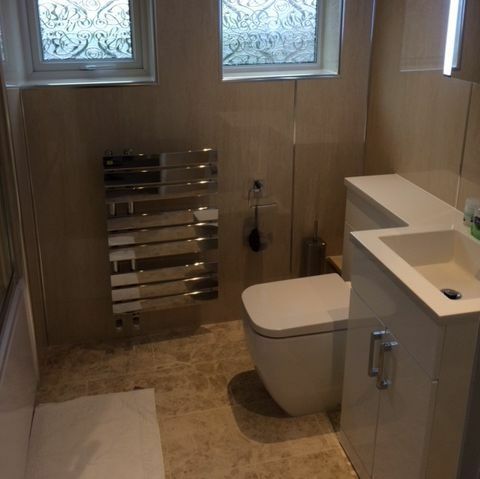 Our extensive product range covers suites for bathrooms as well as shower rooms, wet rooms, and cloakrooms. 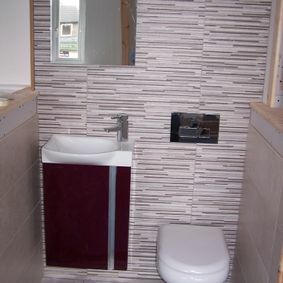 A number of additional extras can also be purchased, including underfloor heating and bathroom TVs. Using more than 3 decades of experience, our team take care of the full service, from design through to completion. 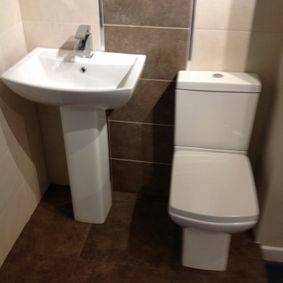 The Clive Allen & Sons Bathrooms showroom is actually managed by Clive’s wife, Tina. We are proud that the business is built on a family that works together. 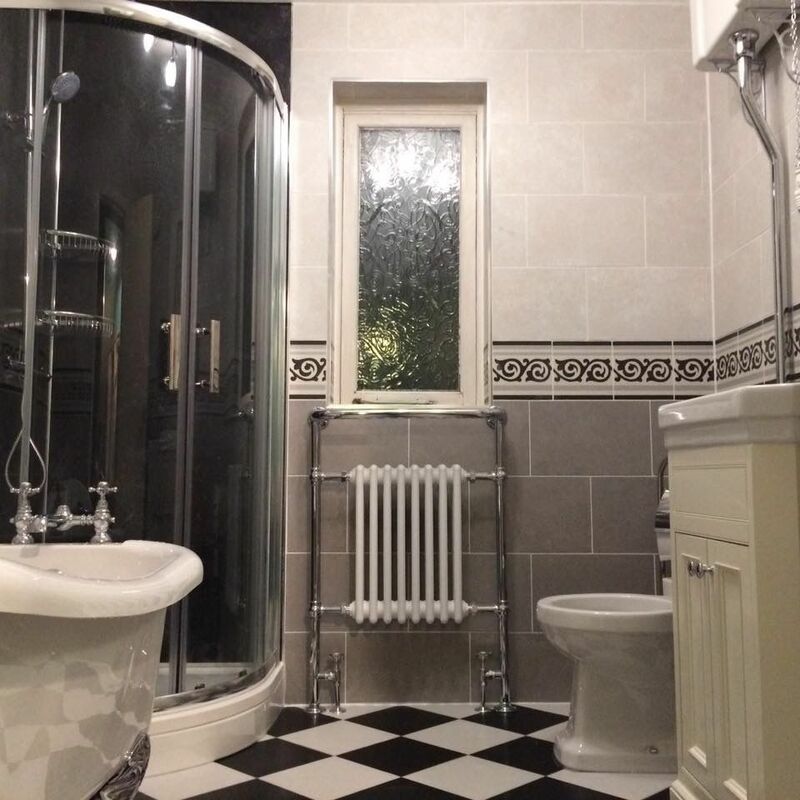 In fact, Clive’s sons – George and Joe – started apprenticeships with the company in 2013 and 2017 respectively. 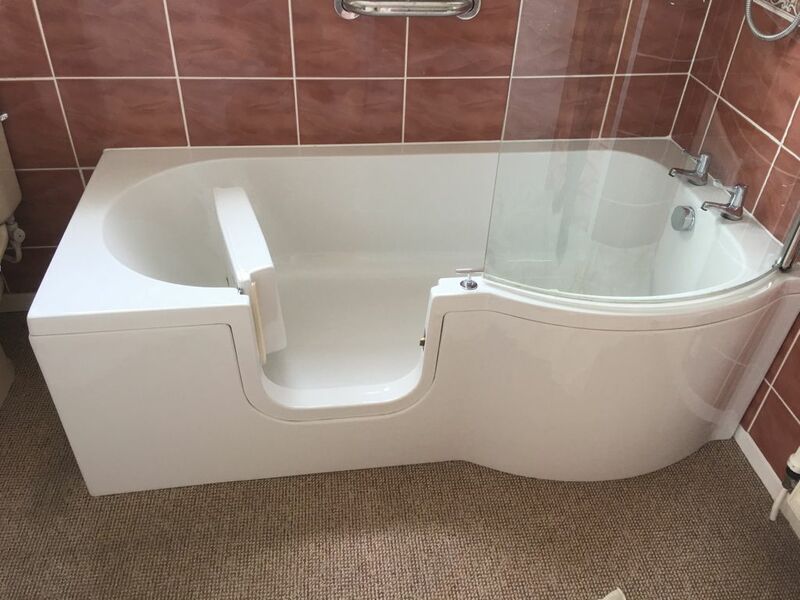 Our extensive knowledge and experience are used to provide visitors to our showroom with expert advice and guidance on their new bathroom.